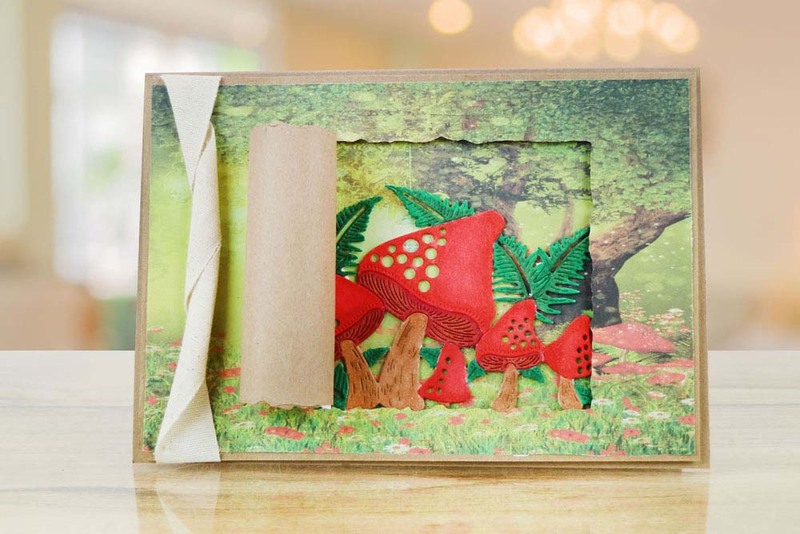 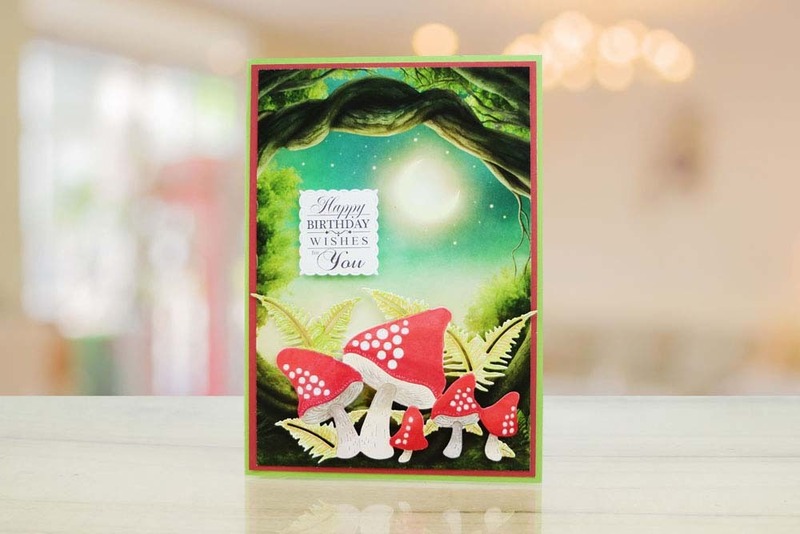 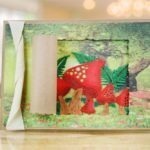 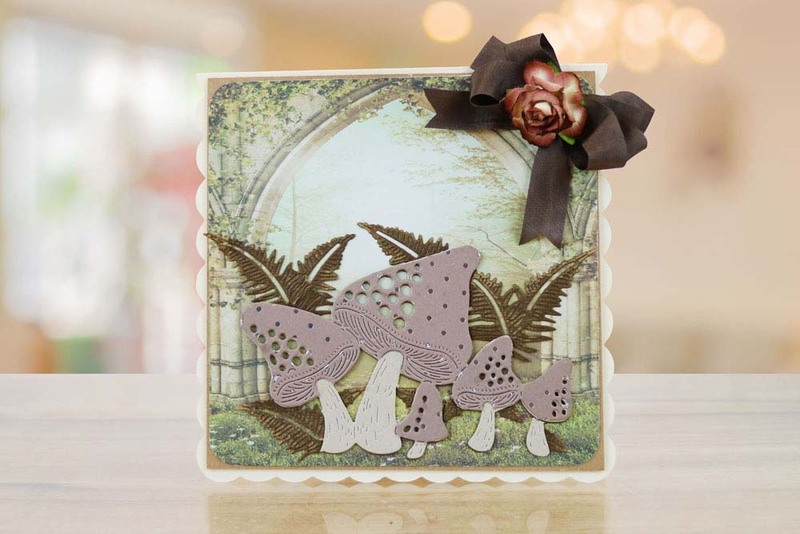 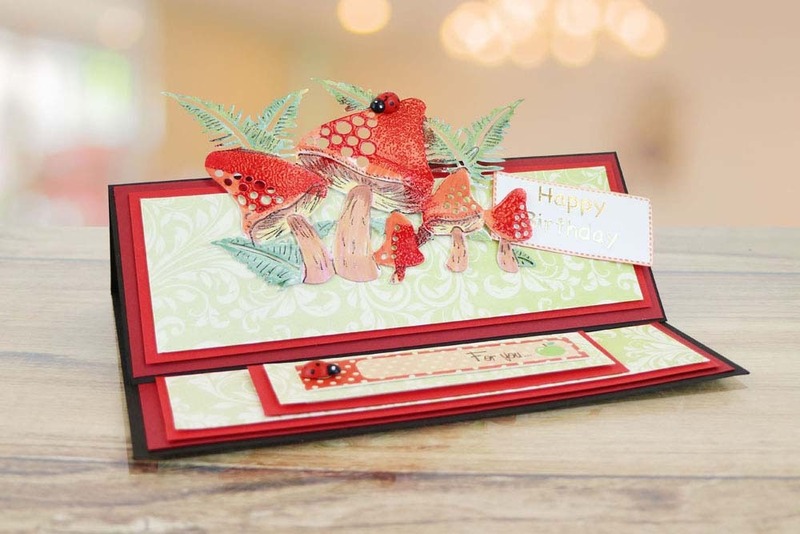 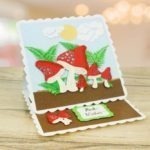 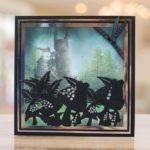 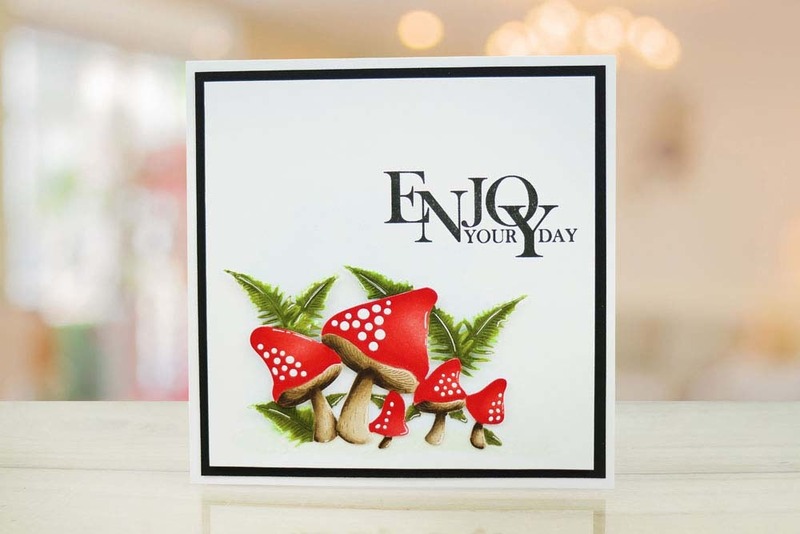 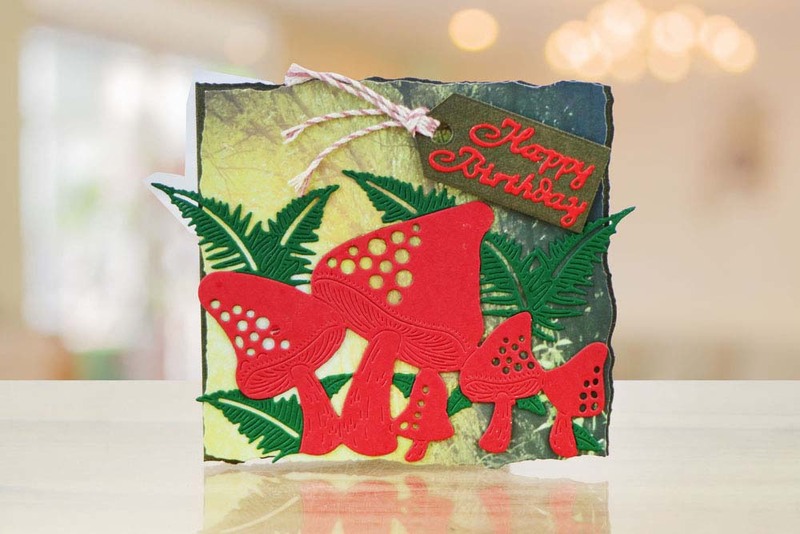 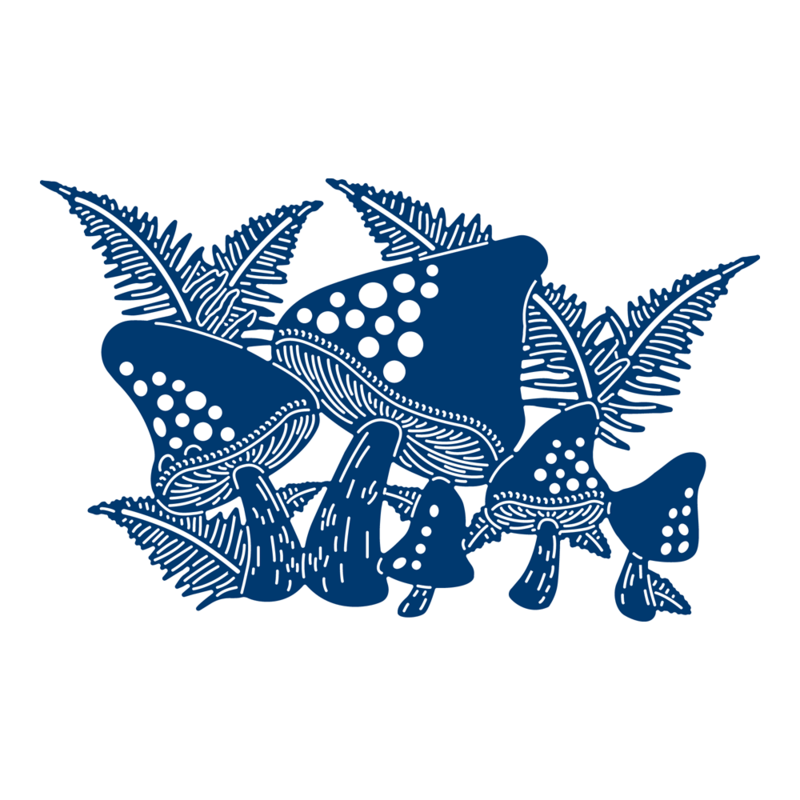 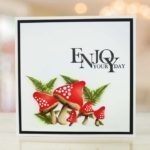 The Toadstool Glad die is a must have to add to your collection with flowing ferns and growing toadstools this is the idyllic glen for the make believe collection. 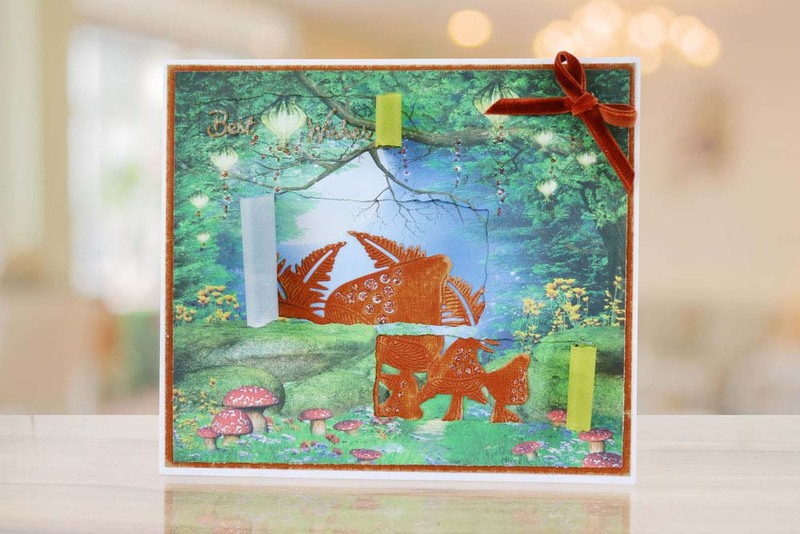 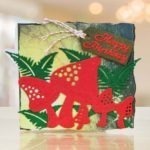 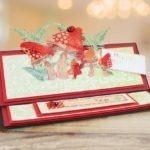 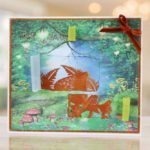 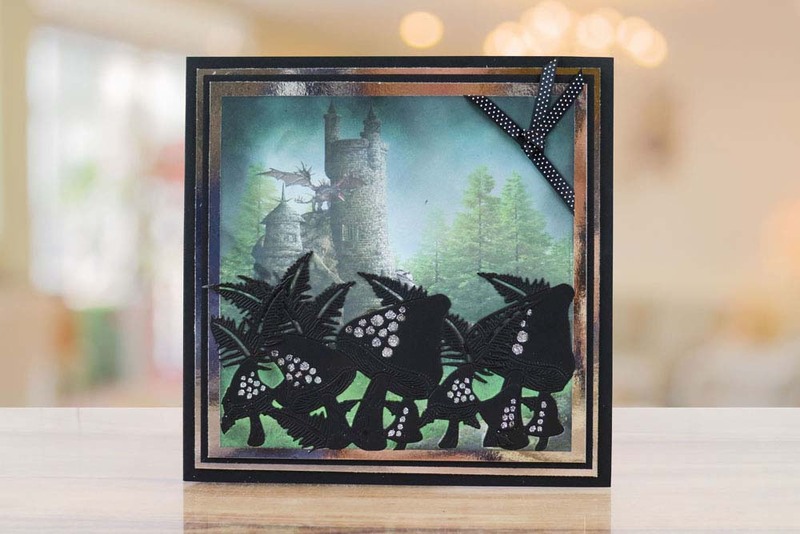 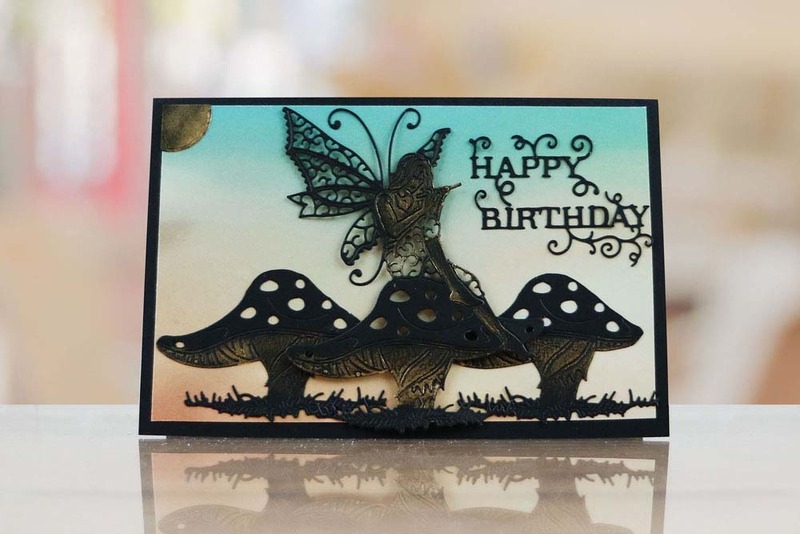 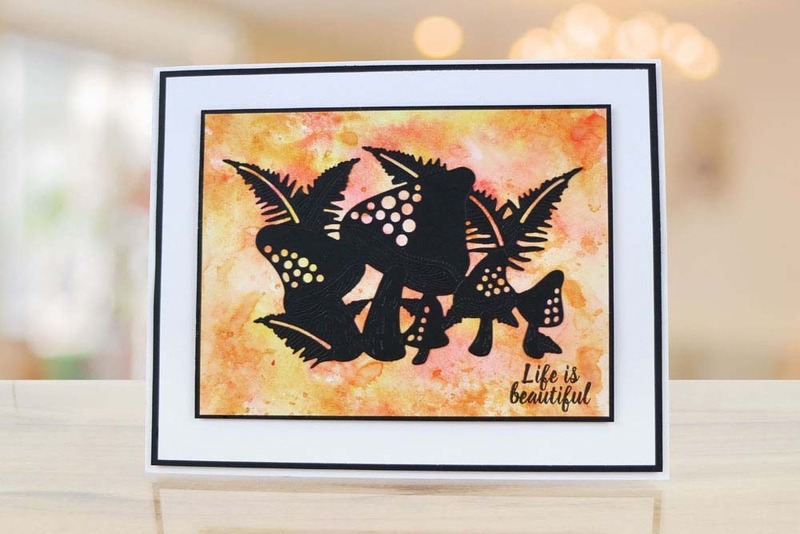 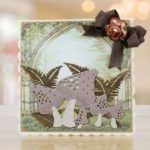 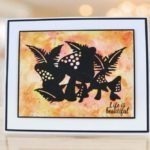 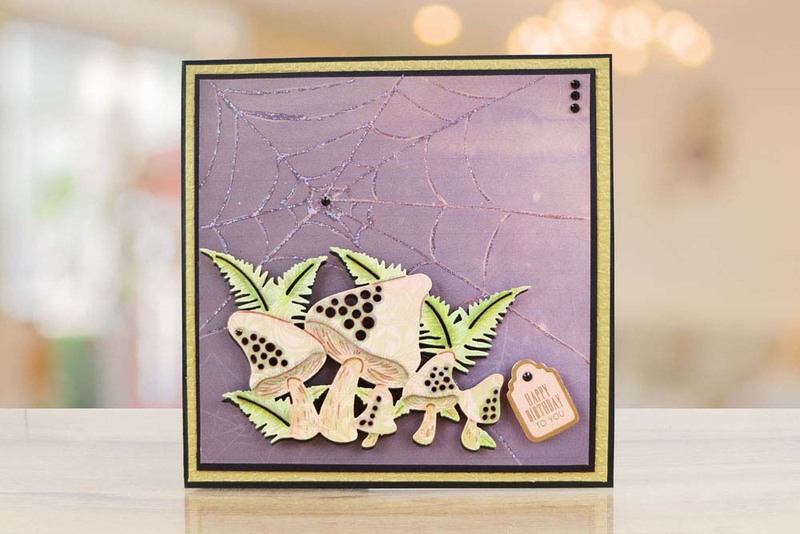 Snip into the design to create smaller die cuts or additional elements to make a larger glade. 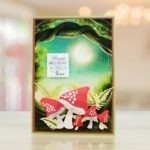 Use as a backdrop behind Flower Star Fairy or in front of the Fairy Door to give a totally different perspective. 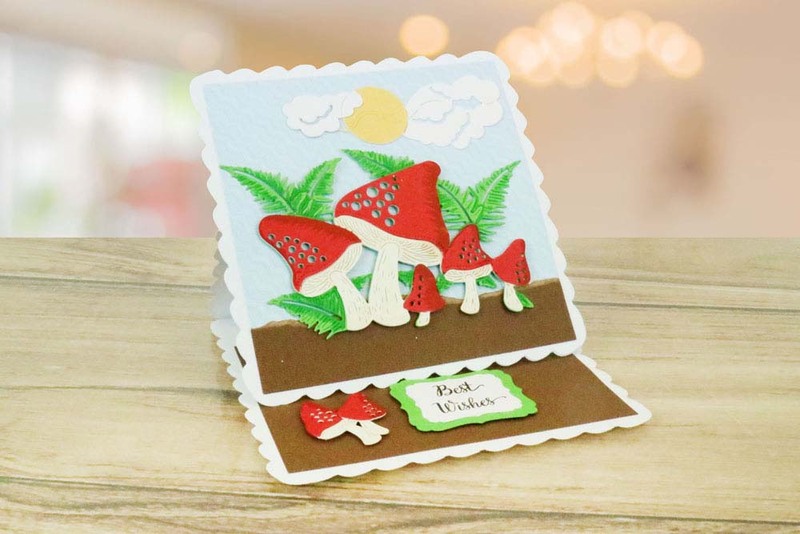 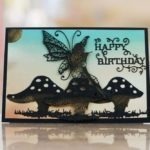 Perfect to use to build a scene for fairytale themed projects, and suits occasions such as Birthdays, Thanks You’s, Best Wishes and Many More! 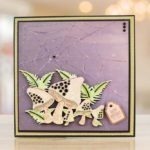 This die measures approx 14.1cm x 8.7cm.